Happy Valentine’s Day! I hope your day is filled with much love . I really enjoyed reflecting upon this weeks prompts of Updating, Remembering, Needing, Wearing, and Being. I hope you enjoy this weeks as much as I did. 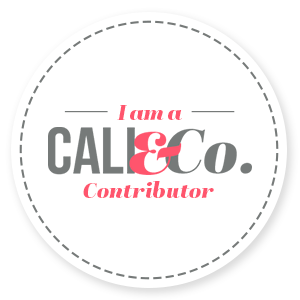 While I am working to get better at regularly updating my blog, I am also trying to do the same for my other social media sites. More specifically, Instagram and some of the sewing related Facebook groups I am in. I am wanting to grow my blog this year and I know I have to also grow my other social medias to get there. To achieve my big goals I need to build an engaged following. I love the Timehop app on my phone. I enjoy looking back at what happened in my history. Yesterday this photo popped up in my timeline. 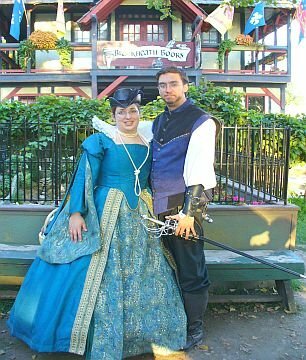 It was taken almost nine years ago at the Bristol Renaissance Faire. It was side by side with a photo taken last year. It was interesting comparing the two photos. We have changed a lot as a couple and individuals. We have grown stronger for the better. I look forward to all the future memories we get to share and look back on in the next nine years. I am also remembering making this costume and I realize that I really should get on making my new costume this year. I struggled to find anything I am needing. I am lucky to be at a point in my life where I have everything I need to survive. Eric and I have had some tough times when we were still in school and just shortly after. Since purchasing our home six years ago, we have worked hard to get to this point. We are by no means well off and set for life, but we have more than enough to survive and be happy. We each have full time jobs that we enjoy. We have a roof over our heads and two new cars. Our bills are paid every month. There will always be food for us and our four animals. We have individual and shared hobbies. We are much more responsible with our finances and are making progress towards our larger goals. It is an amazingly calming feeling to be a this stage of life. I am glad we are finally here. I enjoy being able to help others who are not as fortunate. Now that we are here I do try to give back more than I could before. Right now I am wearing my pajamas, since it is still pretty early on Sunday morning. I have no plans but to stay home and enjoy watching the snow coming today from the comfort of my sewing room. Later I will be wearing my make from Jungle January, that I never got around to posting. I need to photograph it today, so I can post about it later this week. Being is an interesting prompt. This year I am focused on just being. Being happy. Being content. Knowing that there is nothing we need that we do not already have is new thing. I am learning to be happy and content with where we are at. I am working on knowing that what we have is enough and we do not have to keep up with the Jones’. Being adventurous. Being fun. Eric and I probably could have joined an adoption agency already if we had been a bit stricter with our budget. However, we really wanted to enjoy the time we have left as just the two of us. We both enjoy travel and know that once we have a baby that will become infinitely more challenging, so while we can we want to go to places that would be a couples only kind of thing. We want to make sure that we have stories and pictures to show our future children of us before they came along. We want them to see that we have a strong and healthy relationship. Stay tuned next Sunday for these topics: Completing, Visiting, Repeating, Writing, Scheduling. 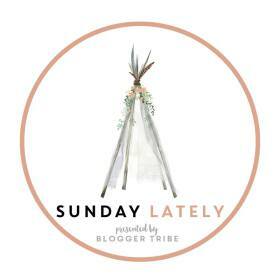 This entry was posted in Adoption, Sewing and tagged Being, Blogger Tribe, Needing, Remembering, Sunday Lately, Updating, Wearing. Bookmark the permalink. I admire anyone who can sew those amazing renaissance costumes. Because wow are they a lot of work and fabric and detail! Thanks! It definitely was a lot of work and handstitching. I think that is why I have been putting off making another one for so long. Just knowing the amount of time I need to put into it is overwhelming. Sounds like you have an exciting year ahead. Congrats on taking the step toward adoption. I have missed attending the RenFair here in Georgia these past few years. Y’alls costumes are great. Thanks! Here in the midwest all of our fairs tend to happen in the fall. Which is great for me because it gives me more sewing time to prep. Thanks! I hope you can get back into sewing. It is definitely something I am very passionate about. I am looking to add more beginner tutorials and how-to’s this year to help get more people interested in sewing. After all they went through (failed adoption first, then amazing experience with a birth mother…) now they are expecting a miracle baby!!! Thank you! I will definitely have to check out her blog! That is exciting that they are now expecting a miracle baby!